Bahrain-based Gulf Air has launched an online promotion giving all new Falcon Flyer members who travel in the next two months the chance to enter a raffle for a variety of prizes, including free flights throughout its network. 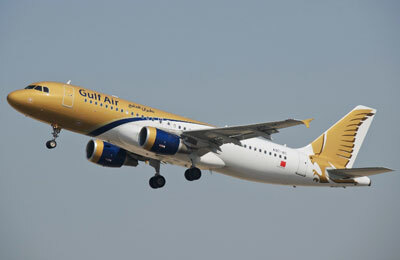 Re-launched in 2011 with innovative incentives and benefits for the airline’s frequent flyers, Gulf Air’s Falcon Flyer programme has garnered positive feedback and been well embraced by passengers, a statement from the company said. The programme offers members more attractive privileges and value added benefits such as bonus miles up to 250 per cent, family membership and special privileges both on the ground and in the air, the statement said. The airline has been rewarding its members periodically with additional benefits such as double miles, half miles redemption and more. Other advantages of the programme include the best redemption rates and the best miles earning system for premium class in the GCC and the Middle East region, special online booking bonuses, a generous baggage allowance, three years miles validity, unlimited lounge access, priority baggage handling and guaranteed seats among many other benefits that will make the traveling experience more enjoyable and rewarding.